ShoutBloger: This is a continuation of previous news about 3 new series HTC smartphones ready to strike. Smartphone vendor HTC is introducing a new handset, the HTC Sensation. 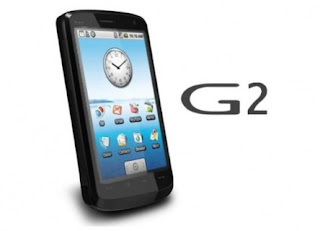 This smartphone device will be very powerful because it uses a powerful 1.2GHz processor. HTC Sensation lure with 4.3-inch screen with 540x960 resolution QHD. Meanwhile entrusted to Qualcomm 8260 processor 1.2GHz. While the operating system has been updated using the latest Android operating system, Gingerbread (2.3). Reporting via Tech Radar on Wednesday April 13, 2011, HTC Sensation has a 1080p quality video recording features, with 8MP camera on the back and in front of VGA quality. The camera also uses an additional dual LED flash. HTC Sensation own HTC Pyramid has another name, keeping user Sense 3.0 interface HTC promised to make the menu look more presentable. According to sources at Taiwan based company, the phone will be sold at a price range of U.S. $ 750 or about USD 6.5 million. HTC Sensation will go on sale in Europe mid May and then will be visited the United States. Just Keep on Topic, don't be Spamy! !